William Joppy was able to endure a tumultuous start to life that included taking drugs and stints in prison before becoming a two-time middleweight titleholder in the 1990s. Joppy, was born in Silver Spring, Maryland on September 11, 1970. He was the middle child of three. 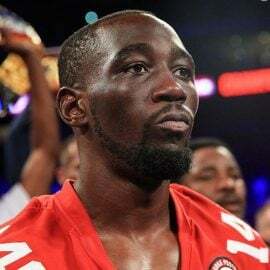 His first recollection of boxing came in 1976 when, along with his father, he watched the Montreal Olympics which spawned the careers of Leon and Michael Spinks, Sugar Ray Leonard and Howard Davis. Joppy’s parents separated later in the late-70s and the teenager’s life took a turn for the worse. “I come from a broken home,” said Joppy, who spent over a year in prison for serious assault. “It’s always rough without that father figure. A lot of my troubles started when my father wasn’t there because he kept me in line. My father was like a drill sergeant. In April 1989, Joppy robbed a carwash. He was quickly arrested and sent back to prison. After getting out in December 1990, the future world titleholder made a conscious decision not to go back. Joppy worked a day job in garbage refuge and went to the boxing gym afterward. 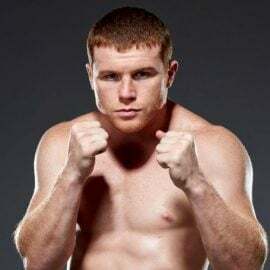 He had his first amateur fight the following March and went on to win the Eastern Olympic box offs which led to the Olympic trials. 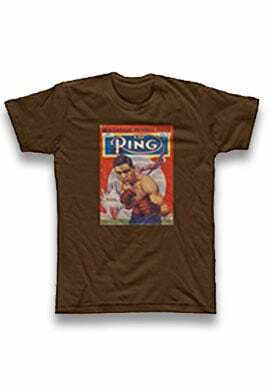 He would lose to future Olympic silver medalist and heavyweight titleholder, Chris Byrd. Turning professional in February 1993, Joppy quietly went about his business, learning the sport against steadily improving opposition. Over the first two-and-a-half years, the Maryland native won all 19 of his bouts before signing with Don King. After a draw with Rodney Toney in September 1993, Joppy won two more fights before being offered a shot at WBA titleholder Shinji Takahara. He jumped at the opportunity, stopping the previously unbeaten Japanese fighter in nine rounds. “It was a great experience, going across seas to bring my world title back,” said Joppy. “The fans over there, they were really behind Shinji Takahara. The new titleholder defended twice before meeting Julio Cesar Green at Madison Square Garden in August 1998. Both men recovered from early knockdowns to fight tooth-and-nail over the 12-round distance. In the end, Green was a close unanimous decision. The rematch took place five months later and Joppy regained his title with a comprehensive points decision. 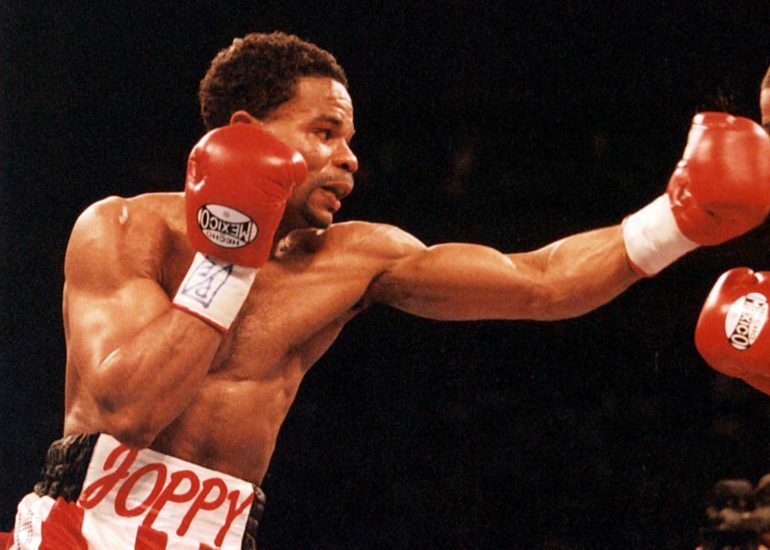 In the summer of 1998, Joppy faced off against a 47-year-old version of former four-weight world champion Roberto Duran. 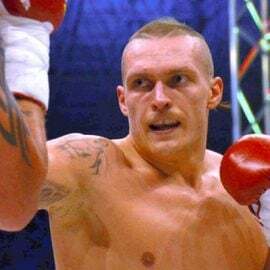 Joppy made five defenses in total, including a rubber match victory over Green, before meeting Felix Trinidad in the semi-final of HBO’s Middleweight World Championship Series at Madison Square Garden in May 2001. Trinidad was too much for Joppy, dropping him three times before the one-sided beat down ended at 2:25 of the fifth round. Six months later, Joppy scored a controversial 12-round majority decision over tough contender Howard Eastman. However, inactivity blighted his career before terms were reached for him to face undisputed middleweight champion Bernard Hopkins. There was mutual enmity between both parties which lead to Hopkins betting Joppy $50,000 he wouldn’t last the distance. Joppy won the bet but suffered a frightful beating. 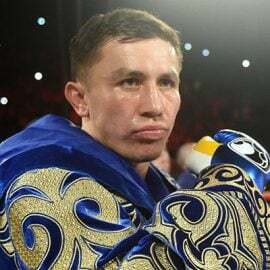 Joppy stayed active for the next eight years but lost the big ones: Jermain Taylor (UD 12), Lucian Bute for the IBF middleweight title (TKO 10) and Beibut Shumenov for the WBA light heavyweight title (KO 6). He walked away after outpointing Craig Cummings in March 2011. Joppy’s final career record was (40-7-2, 30 knockouts). Now 47, Joppy has five children and lives in New Carrollton, Maryland. He works as a personal trainer at Champion Boxing and Fitness and at Tony Balles Gym in North East Washington D.C. He also drives shuttle buses for students. Joppy is a motivational speaker to at-risk youths and, in 2011, he formed an organization called Breakfast with Boxers. This venture allows the former two-time world titleholder to visit homeless shelters and help people less fortunate. 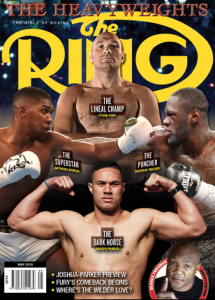 Joppy graciously took time to speak to RingTV.com about the best he faced in 10 key categories. SHINJI TAKAHARA: He had a height and reach advantage and puzzled me with that jab. I got adjusted around the fourth or fifth round. In my boxing career I think (Takahara’s) jab was the most effective. BERNARD HOPKINS: When I fought him, I was going through a lot – my daughter had died. I couldn’t really get him with a good flush shot. He’s real crafty: he uses his head, he keeps his head tucked in his shoulders and he keeps his jab out there too. He has a good jab – not like Shinki Takahara – but I would say as far as defense, Bernard Hopkins was the best. PETER VENACIO: When I fought in Miami back in 1997, I beat Peter Venacio at Coconut Grove. He had real fast hands, plus he could hit. He was from Brazil. It went 12 rounds, we went toe-to-toe, blow-for-blow, he was a tough guy. I had to really dig deep to get that fight. He had great handspeed, long arms and speed like a cat. He knew how to snap that jab and follow with that right hand and that’s what stood out about him. RAY MCELROY: Ray McElroy and Peter Venacio had good footwork. I had to switch it up on Peter Venacio. I was walking him down, then I got him to walk me down. I was more effective being the matador, not the bull. Ray McElroy moved a lot. 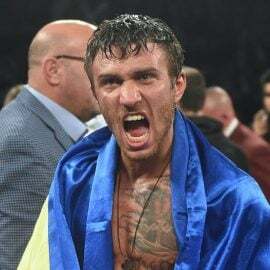 My corner told me to work on his body, he couldn’t take the punishment to the body and I stopped him in the seventh round. I would say Ray McElroy. JULIO CESAR GREEN: I stopped him the last time but the first two fights were some battles. He was tough as nails. We fought the first fight in New York City, the second fight we fought in Tampa, Florida and the last fight we fought right here in Washington D.C. We had some wars. I would say him because he went to the distance twice. HOPKINS: Bernard Hopkins by far. Also, I would say Shinji Takahara, but he wasn’t fast enough and I caught up to him. Hopkins had ring generalship and smartness. GREEN: Julio Cesar Green first and Peter Venacio second. When we would tie up, I could feel Green’s strength. He would push me off. I didn’t want to get hit by a clean shot from him. 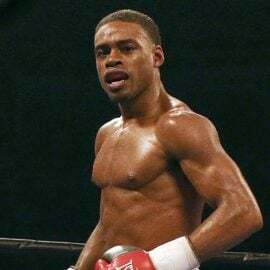 FELIX TRINIDAD: I still felt it the next day, but then it comes up that he was illegally wrapping his hands. Before I found that out, I gave him my respect. VENACIO: I would say Peter Venacio because he threw a lot of jabs. He had good footwork too, he was slick, he had great cardio. We fought to the last second. HOPKINS: He’s so crafty; his defense was on point. I really couldn’t hit him with a flush shot. I’m not trying to make any excuses, but after I fought Felix Trinidad my career went on a downturn. All around (Hopkins) does it all, he’s not just one-dimensional. Someone like Julio Cesar Green; he’s one dimensional, he’s a bull. Bernard Hopkins can switch it up on you.